For the best range of Traditional, Modern and Bespoke bathrooms, Peterborough is in luck! Abbeywood Services can re-design, supply and fit new bathroom suites if you live in or around the area of Peterborough. Bathrooms can be both functional and beautiful; here at Abbeywood Services, we believe that you deserve a stunning bathroom that meets your needs and matches your budget. We already have hundreds of satisfied customers in and around Peterborough. Bathrooms come in a variety of styles and designs. We have many different styles and brands of contemporary bathrooms, traditional bathrooms and en suites for you to choose from, or can supply a bespoke bathroom that is as individual as you are. 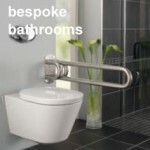 We can meet with you and discuss your plans, then supply and fit a bathroom to suit you. 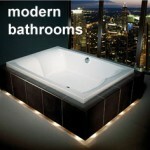 If you are looking for a modern bathroom with the latest energy saving features, then contact us today. 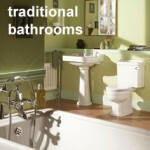 If you want a more traditional style bathroom, then take a look at our range. We also specialise in bathroom refurbishments – if you are looking to upgrade rather than completely replace your bathroom, Peterborough has a local expert in Abbeywood Services. We can advise on the best and most economical ways to improve your bathroom without it costing you the earth. We can supply and fit tiles, or provide materials for you to do the work yourself. It’s up to you! We can work together to realise the bathroom of your dreams. Not only will we meet your expectations, we will exceed them! We are a company that is friendly, professional and has over 30 years experience in working with and for the residents of Peterborough. Bathroom shopping has never been easier as Abbeywood Services are your local, number one choice!